Just have fun with some fat quarters or scraps to make these frayed flowers. Top stitch them to a background square. Add some exciting sashing strips. Quilt, bind, and then wash. Watch the edges of the flowers come to life. 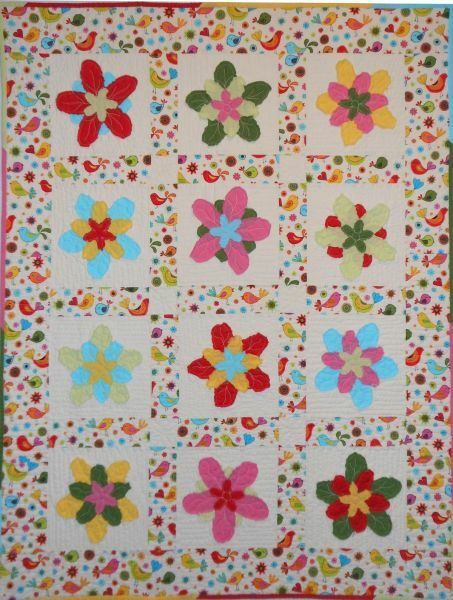 It is just a great way to pass the day and create a colorful quilt. Enjoy! The cover quilt features fabrics from American Made Brands. Fabric that is made, grown, and manufactured in the USA!